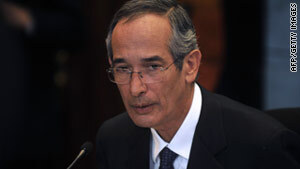 Guatemalan President Alvaro Colom has described the syphilis experiments as crimes against humanity. (CNN) -- The U.S. government will be hit with a class action lawsuit on behalf of 700 Guatemalans who were infected with syphilis unless it offers a way to settle claims before Friday, the plaintiffs' attorneys said. Law firms representing the victims said the United States intentionally infected the Guatemalans between 1946 and 1948 in an effort to study the effects of the disease. The complaint compares it to the Tuskegee syphilis experiment in Alabama. During the 40-year study that began in 1932, doctors observed how the disease progressed in about 400 poor African-Americans, who already had syphilis. The men were never told they had the disease and never treated for it. The test subjects received free medical testing, meals and burial insurance. "We are hoping we can come up with a mutual agreement by Friday about what next steps should be in terms of a concrete remedy for the people that were impacted," Piper Hendricks, a litigation associate for Conrad and Scherer, said Tuesday. "We were favorably impressed with how the administration denounced the studies and apologized last year; we hope we can come up with a settlement without actually having to go to court and litigate." While the complaint mentions that there were at least 700 test subjects, it only lists seven plaintiffs -- all are either the direct victims of the testing or their legal heirs. "We do expect more people to come forward, but the news is still making its way through Guatemala," said Hendricks, who acknowledged that many people may have passed away over the years. "Some of our clients are living in rural regions and even if they have received news of what went on it's not easy to get in touch with someone to join the suit." In a letter to Attorney General Eric Holder on Monday, attorneys Andres Alonso and Terrence Collingsworth ask that "a claims process be set up through which aggrieved citizens of Guatemala, who have been adversely affected by this experiment," can receive a settlement outside the court system. The legal team says it will proceed with the litigation if it doesn't hear from the government by Friday.